I've been doing a TON of shopping lately so I should probably take a break to save up more money...shopping addict problems. Anyways these are a few of my current cravings. 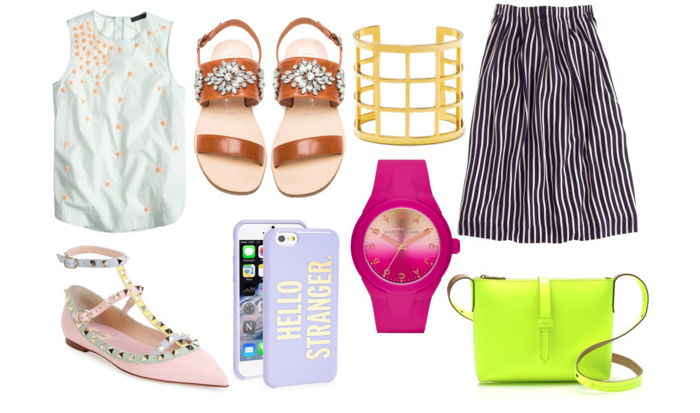 I just am loving the pastel and neon trend this Spring. I absolutely love that neon bag! But I want to find a similar one with out the $100 price tag! It also comes in a neon pink color which I also am in love with! I love that bag! Great picks!